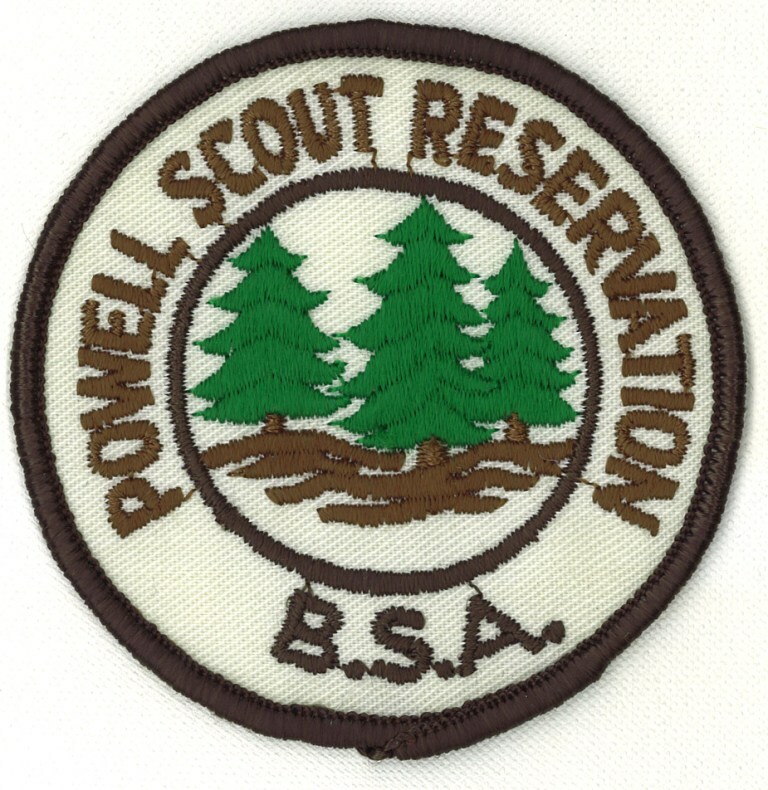 It seems that since the early days of Boy Scout camps, there has been a need to recognize those campers that return for year after year. 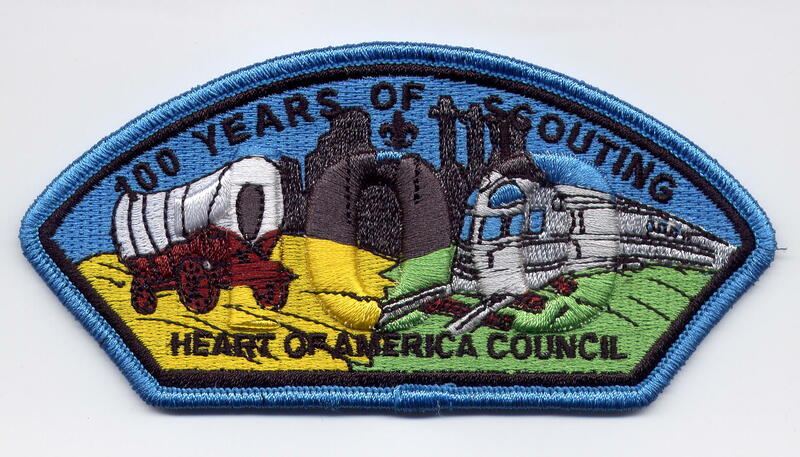 In some of the early felt camp patches there are patches that state, 1st year camper, 2nd year camper, 3rd year camper, or something similar. An alternative, and the system used for Camp Naish, is the rocker. There are five eras of rockers. 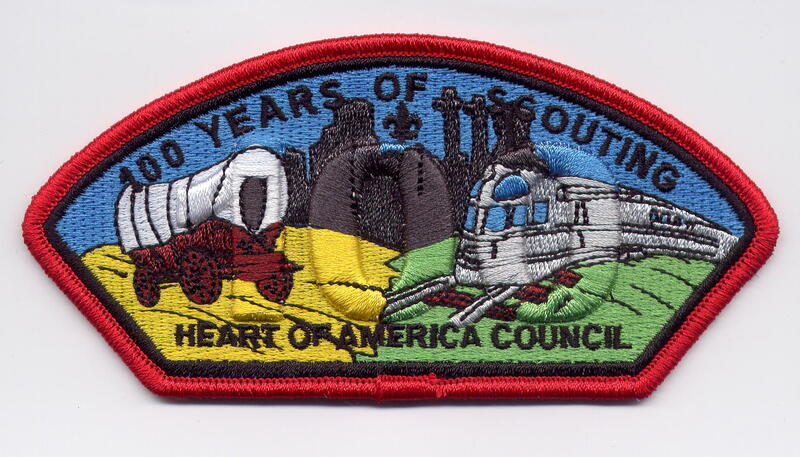 The first is a chevron-type that typically goes with the Daniel Boone or Frontiersman camp patch. 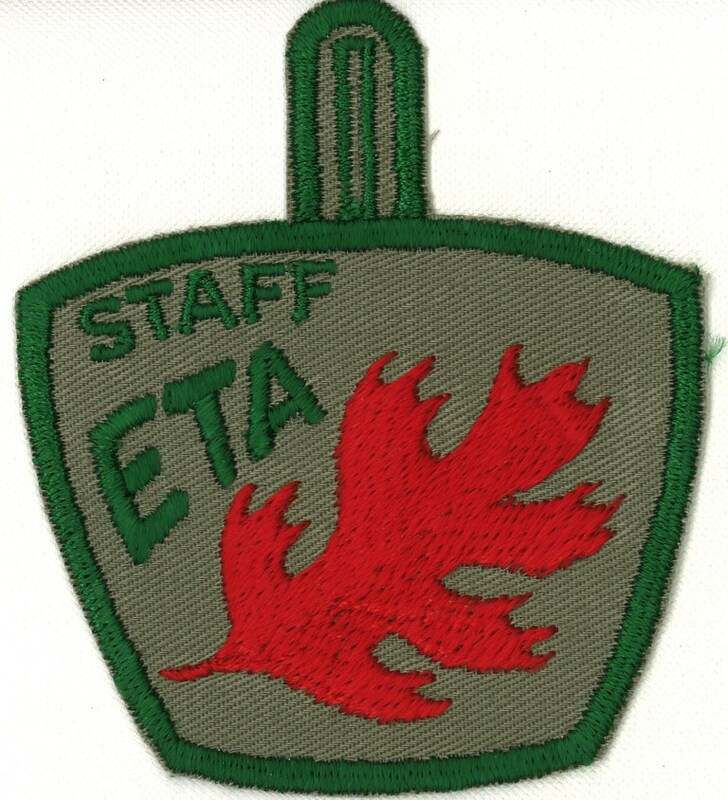 The chevron is a red bar that went below the camp patch. These were used from around 1941-1944. 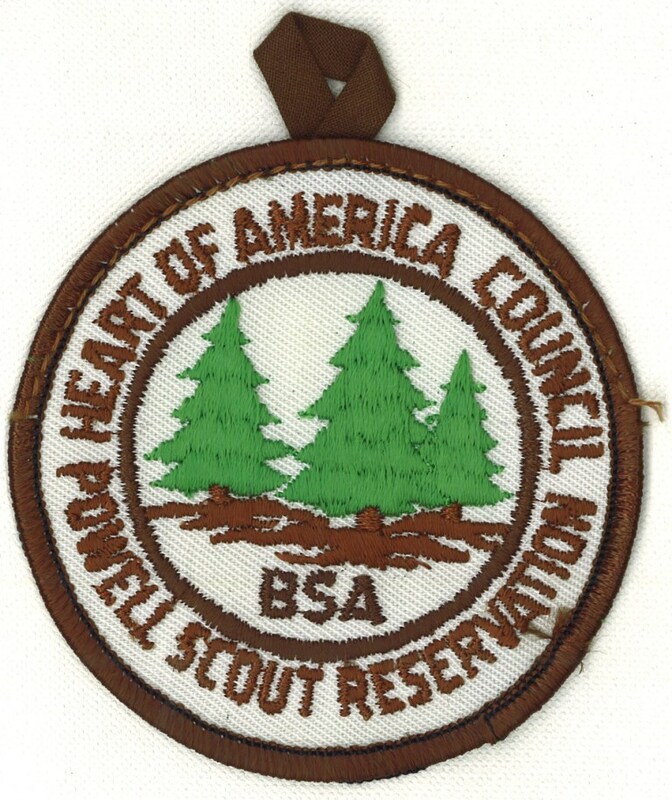 A camper from this time period indicated that there was also a white version of this chevron that was used for a winter camping event held at Camp Naish around 1941 or 1942. Does anyone have additional information about this event? 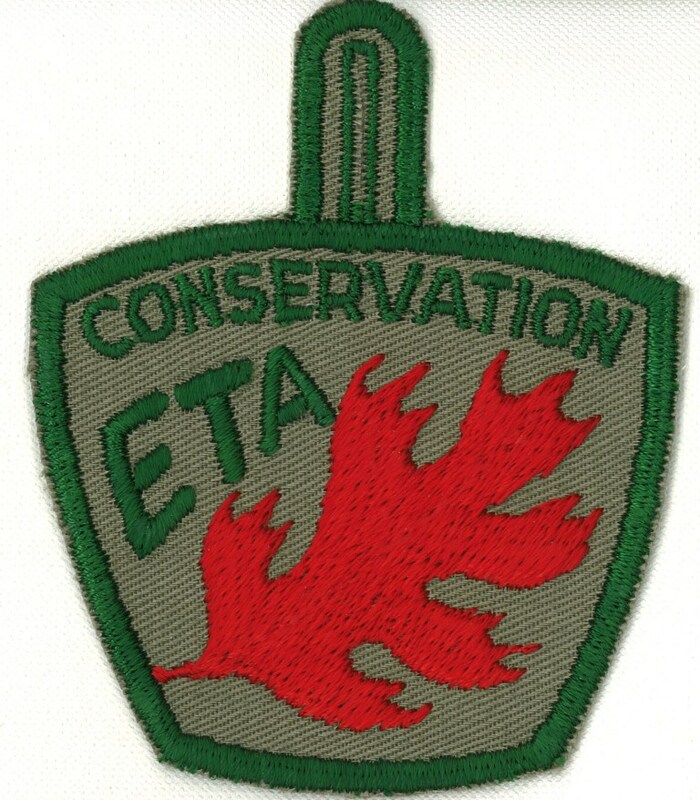 The next type is the red and green twill variety. 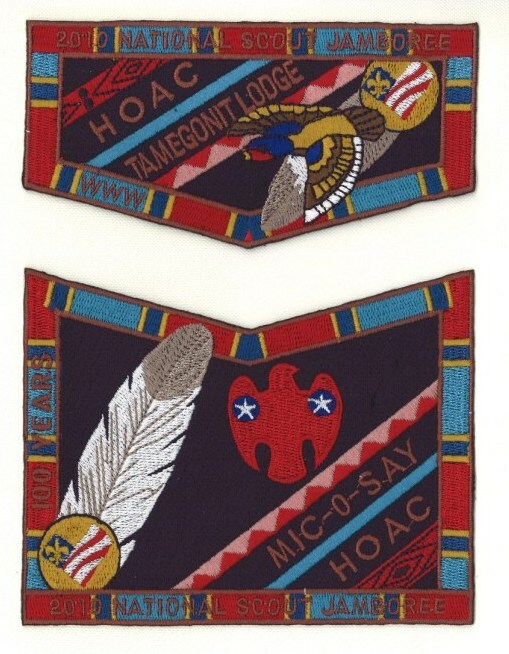 These were used from 1945-1950 with the early white twill versions of the Camp Naish patch. Following that is the white and red twill variety. These were used from 1951-1962 An were used with later versions of the white twill of the Camp Naish patch. Up next is the green and red twill. These were used from 1963-1977 with the green twill versions of the Camp Naish patch. 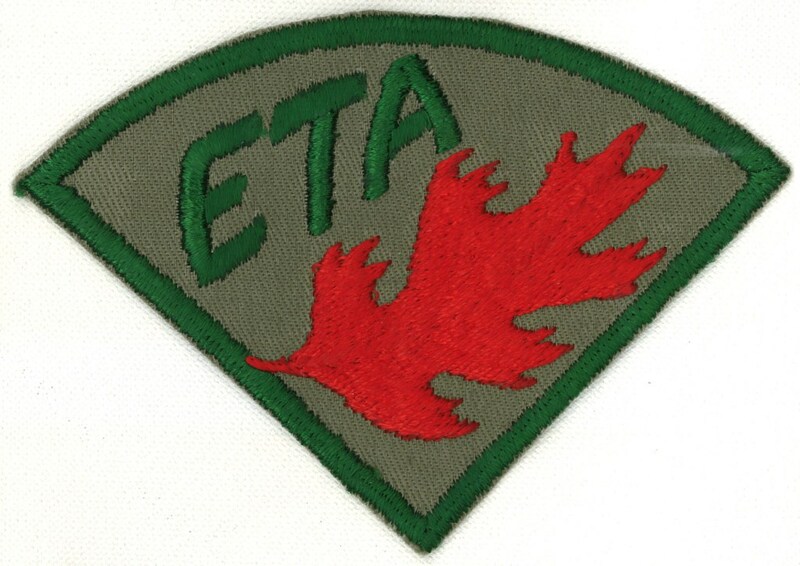 The current era is white and red twill again. These have been used since 1978. These have a more uniform font than the previous white and red twill versions and typically have plastic backing. Camp Naish is not the only Camp to use the rockers, there are many other versions out there with alternate color schemes. Also, there have been other special-issue rockers for Camp Naish, including outpost versions, that I’ll post about later. 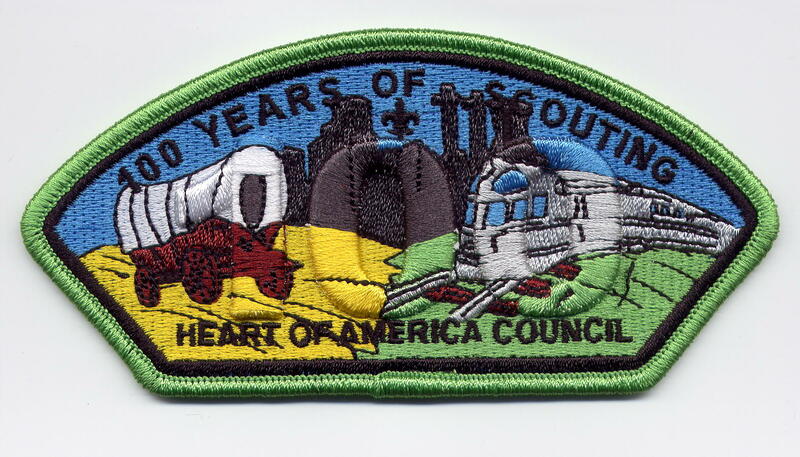 There are also CSPs issued by the council and a 100th Anniversary flap issued by Tamegonit Lodge. I’ll post scans of those as well, once I track them down. 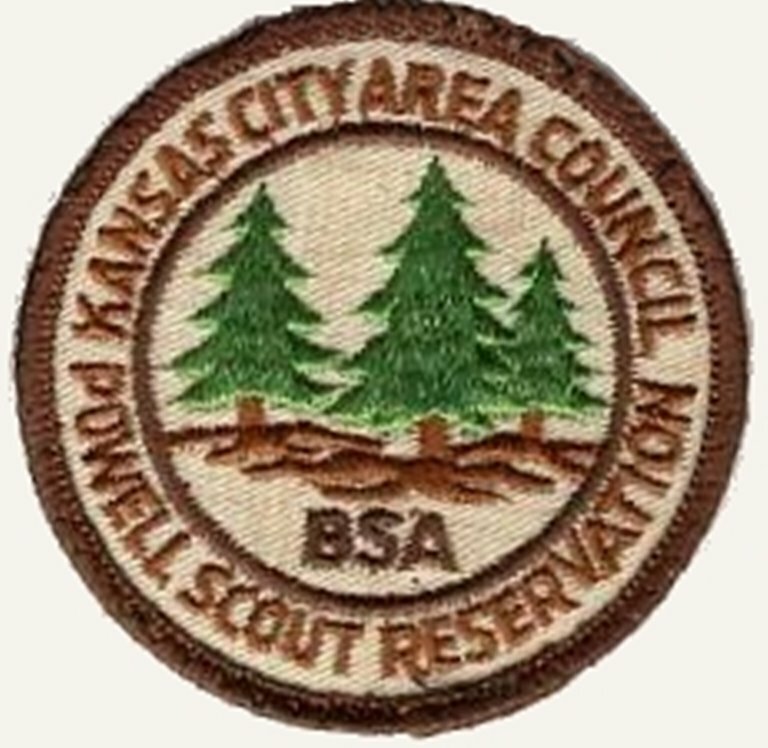 …”Camp George Algire” is a beautiful plat of 40 acres situated on the Creek (Cedar Creek) 4 1/2 miles west of Olathe on the newly chatted road. F.W. Sickles who constructed a new bridge at this point reports a stream of water was encountered 8 feet below the surface…This means that the swimming pool which is to be built will have an abundant flow of fresh, cool, water at all times. Permanent cabins are to be built for the three Olathe troops and the Deaf School. 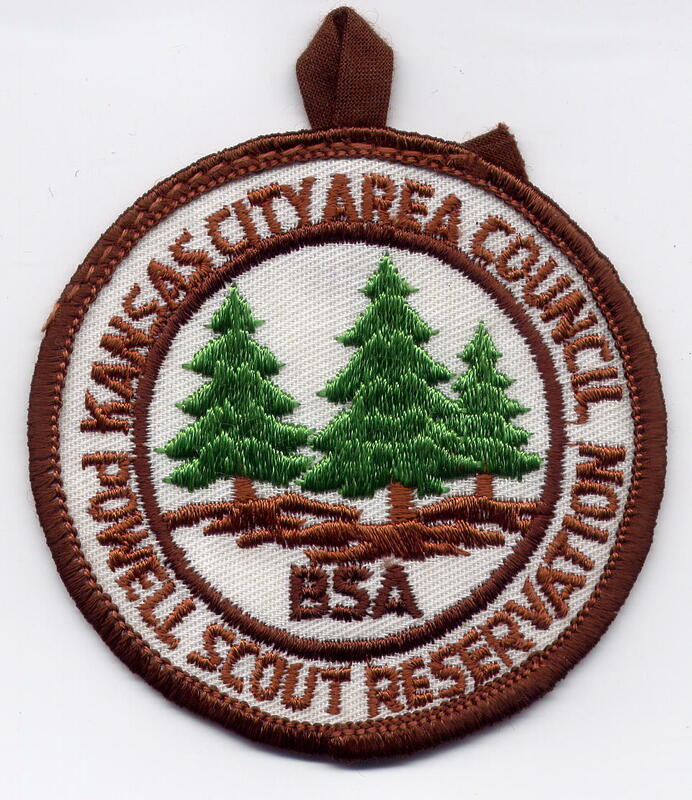 The camp is to be thrown open for the use of all Boy Scout Troops in Johnson County and it is certain we will have boys in camp at all times during the camping season. Sounds promising, right? Well, sadly the book states that although several campouts were held on the land, a few months later the property was sold and no further plans were carried out. I did a little searching and found the location of the camp. 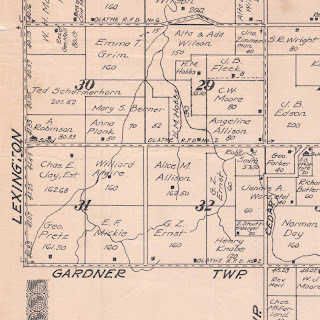 The Johnson County Historical Society has digitized old atlases of the county. Here is a view of the general area mentioned in the article. The northeast portion of section 31 is labeled Willard Algire. The northern boundary is 135th Street or Santa Fe Street in Olathe. This is also known as Prairie Center Road. It is not clear weather Willard was George’s father or if the “W” in G.W. Algire stands for “Willard”. The atlas also indicates that the property is 160 acres, while the camp is listed as 40 acres. A portion of the property may have been sold between 1922 (date of the atlas) and 1930 (date of the article). Of particular interest to me is that house where I grew up in Olathe is a little less than three miles from Camp George Algire. 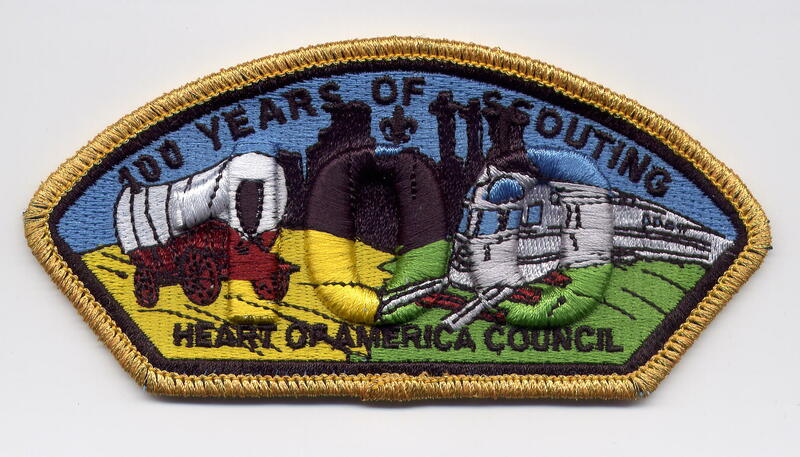 This begs the question, are there more Boy Scout Camps in the Kansas City area that were short lived? There was also another special issue 75th Anniversary patch for the organizing committee that I will post about soon. 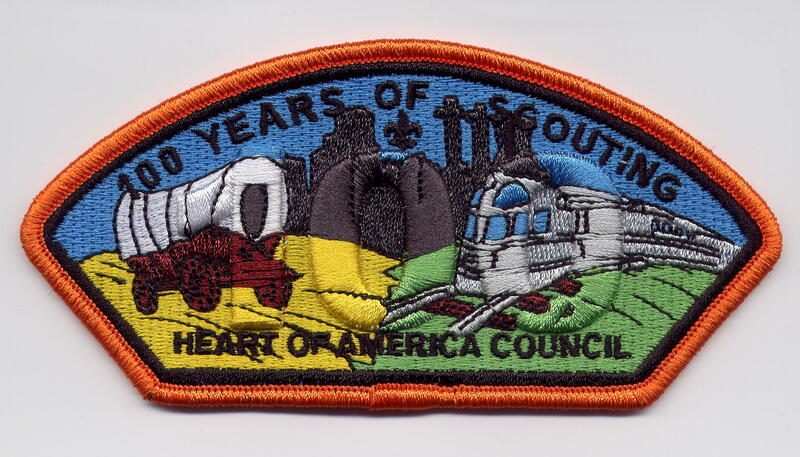 Was there an 80th Anniversary patch for 2006? Am I forgetting any others?